We are very excited to tell you about the amazing press we have been receiving recently. Here you can find a list of ALL posts written about JustRetweet to date. We would like to thank all the great bloggers – established or emerging – who have written about us. We are thankful for every single mention of our Services. Would you like to become part of the list? 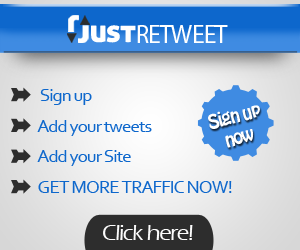 Contact Us if you write about JustRetweet.